The Caribbean Court of Justice (CCJ) has released its annual report for cases it adjudicated between 2017 and 2018, showing that Guyana presented the lion’s share of cases compared to its Caribbean neighbours for judicial settlement. 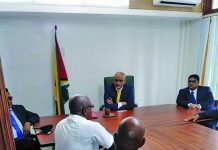 According to the report, Guyana presented 52 per cent of the total cases filed, followed by Barbados (22 per cent); Belize (19 per cent) and Dominica (six per cent). According to the report, a total of 32 new matters were filed during this period. These include 13 applications for special leave and 19 Notices of Appeal. The report notes that 17 cases came from Guyana, seven cases from Barbados, six from Belize and two from Dominica. “Civil applications and appeals represented the clear majority (88 per cent) of the new matters while the number of appeals filed in this year more than doubled the number filed in the previous judicial year,” the annual report states. Over the past year, there have been a number of cases from Guyana being referred to the CCJ. These include ‘the third term case’ of Cedric Richardson v the Attorney General of Guyana, Hyles and Williams v the Director of Public Prosecutions (DPP) and Medical Council of Guyana v Jose Ocampo Trueba. 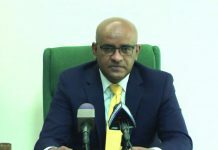 Other cases included the Deorani Singh versus Attorney General of Guyana, Guyana Stores Limited versus the AG and Sattie Basdeo versus the Guyana Sugar Corporation (GuySuCo). 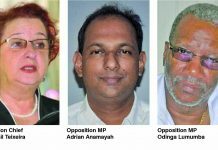 The CCJ’s hearing of cases from Guyana is unlikely to lessen, with the current no-confidence cases that are before the local judiciary. Following acting Chief Justice Roxane George upholding the passage of the December 21 no-confidence vote, Government had made it clear that everything was “business as usual” until it could appeal the ruling and a definitive decision is made at the level of the CCJ. On Tuesday, Government asked the Appeal Court to set aside some of the judgements made by the Chief Justice. 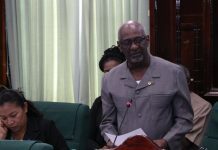 The first case Attorney General Basil Williams is appealing is the case of the Attorney General v Speaker of the National Assembly and Opposition Leader. The second is the Attorney General v Christopher Ram. The initial case directly pertains to the passage of the no-confidence vote in the National Assembly by a majority of 33 to 32 on December 21, 2018. In that case of the Attorney General v Speaker of the National Assembly and Opposition Leader, Williams’s submission argues that “there was a miscalculation of the majority of all elected members as required under Article 106 (6) of the Constitution for the Government to be defeated on a vote of no confidence”. The Government’s submission had claimed that acquiring 33 instead of 34 or more votes breached Article 106 (6) of the Constitution and was unlawful. It had also claimed that the Speaker’s certification of the vote by issuing Resolution 101 was not conclusive. In the second case, Ram had argued that Cabinet should have resigned as per the Constitution. Ram had successfully sought to have the High Court validate the no-confidence resolution and have Government comply with constitutional provisions to demit office and call elections no later than March of this year. Ram has also argued that Cabinet’s failure to resign with all convenient speed and to fix an election date could lead to uncertainty and a constitutional crisis if neither occurs in keeping with the Constitution. The Chief Justice had upheld both cases, ruling that the no-confidence vote was validly passed, and that Cabinet should have resigned. However, Williams, in his appeal, is claiming that the Chief Justice made an error in both of these rulings. Particularly, the Attorney General expressed that the Chief Justice’s decision was “unreasonable and cannot be supported having regard to the evidence”. He is seeking an order setting aside both rulings and all consequential orders, adding that more submissions will be made upon receipt of the CJ’s written ruling. Meanwhile, the report noted that a training programme for gender sensitivity is ongoing in several Caribbean countries, including Guyana. According to the report, such programmes are geared towards ensuring these officers are equipped with knowledge about best practices. “The training programmes examined a variety of gender sensitive issues such as custody, gender-based domestic violence, child support, the various ways in which international law can be utilised to assist the process of adjudication and judicial education techniques for planning and implementing programmes,” it stated.